Seed bred from selected plants both for the advanced collector as well as starting-up collectors interested in Clivia. Selected bred Clivia plants and seedlings. 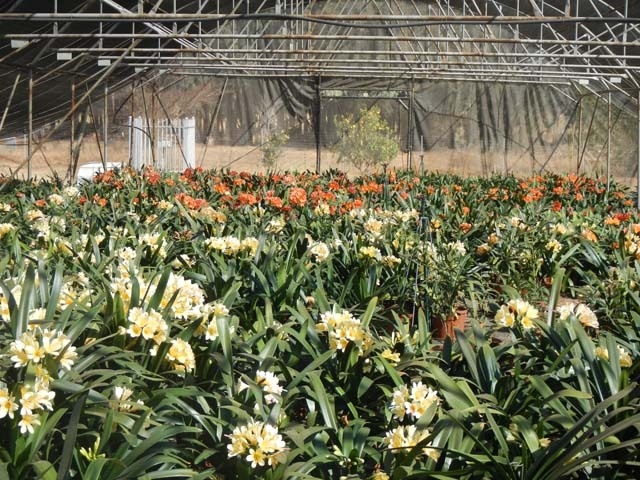 Yellow and orange flowering Clivia plants for gardeners as well as bulk quantity plants for Landscapers and Nurseries. Bulk seed to commercial nurseries. Research and procurement of specialised plants for international customers. You are welcome to visit our nursery during the flowering season. Visits organised by appointment only. Please contact us (Tel no.082 579 9639) in advance of your visit. Map to get to nursery – search www.maps.google.co.za for Vrijehof Agri.